I have a bunch of once loved but no longer needed Bullseye optics. 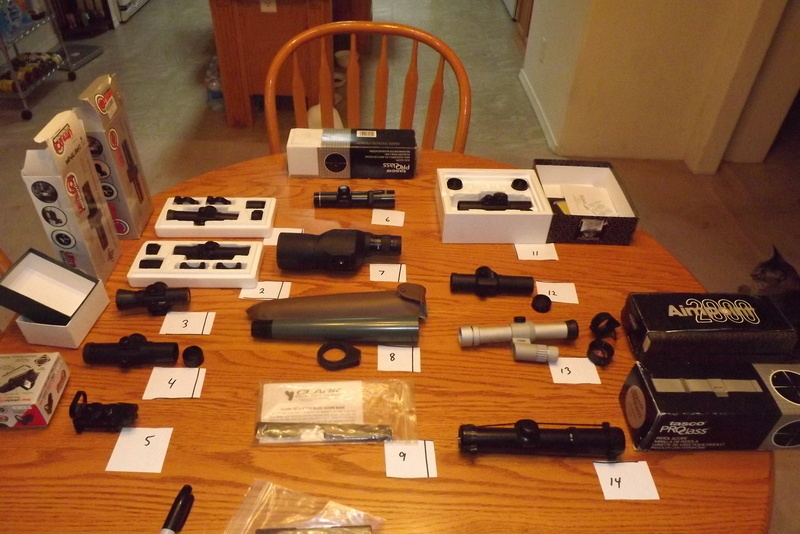 I am going to put some low and some not as low prices out there so if anyone wants one of these scopes, dots, rails etc. Then please reply here so I know who wanted an item first. I can take PayPal or a personal check from anyone other then newbies. Please ask here or PM me if you need more pictures or have questions. Everything works or I wouldn't sell it. I'll take #9, The Clark slide mount rail. Where do I send the $. I'll take #2 and #14. Just let me know where to send $'s. I'll take #7 Burris spotting scope. PM's sent to Bill, Cecil, Mark and Tim. 2,7,8,9 &14 sold. what are you gonna buy with all this cash now Len? Everything shipped except 4 (waiting on address) and 3 (waiting on funds) Tracking available if you want it. The Clark slide scope base arrived. Let me know when you receive those wooden nickles I sent. Everything arrived for me as well. All items were as described for better! Received the 1" UD scope. Thanks. Bill, got the wooden nickels. Thanks for the extra zinc pennies. Got a bunch of checks today. Thanks everyone. I guess it is time to move whats left to fleabay. I saw a broken 2000 Aimpoint go for 135.00 Yesterday so might as well give it a try. Moving the Sightron and Aimpoint to E-bay and putting the Millet on a air gun. 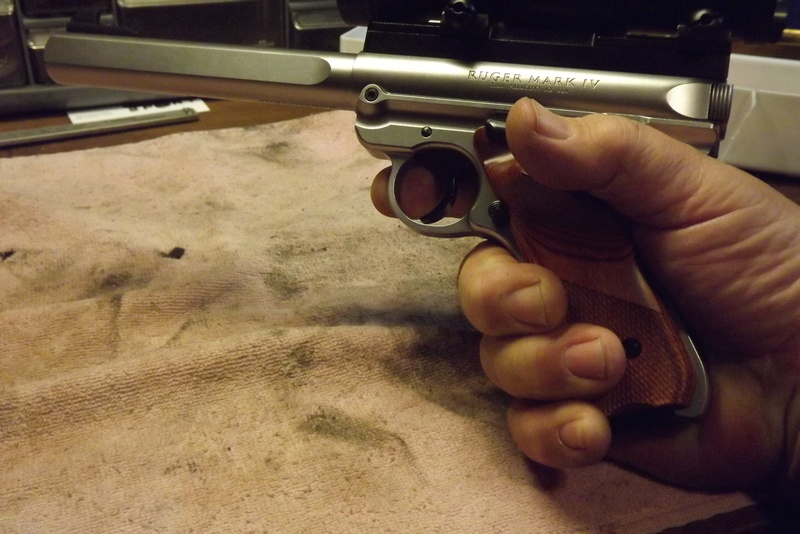 I am new to this forum but I have been pistol shooting off & on for the last 30 years. Chris Miceli wrote: what are you gonna buy with all this cash now Len? Just a quick update Chris. 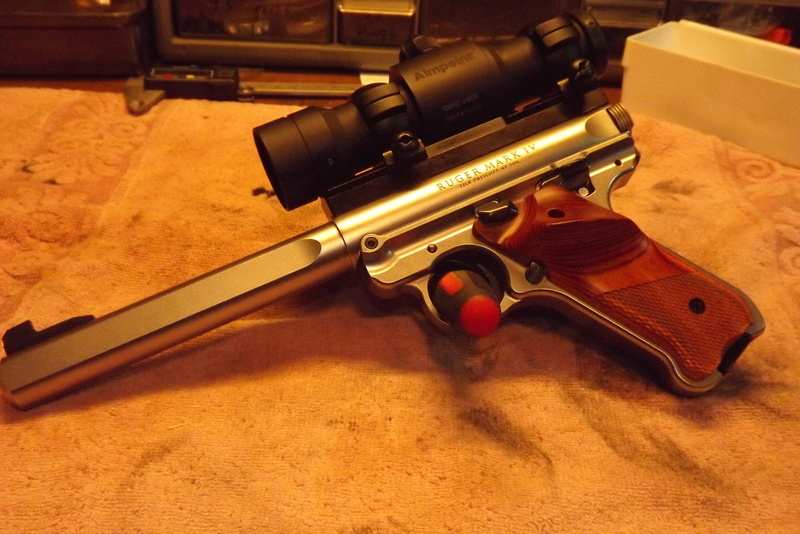 I am glad no one bought the Aimpoint mount for Ruger that I had for sale. It worked great on the new Mk IV. Aimpoint mount and a Aimpoint 7000 on the new Competition model. Now I have to have another garage sale to buy some grips for it. These are way too small. My Mark III is a 22/45 and grip is no problem. 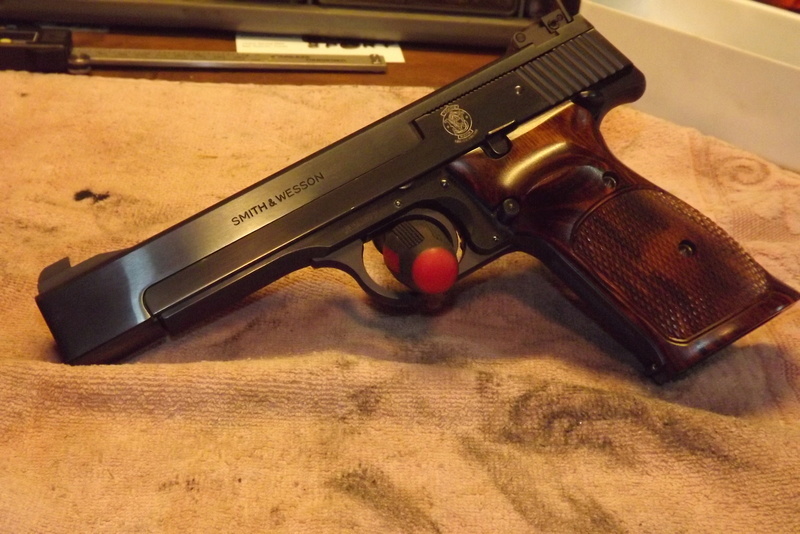 I was also able to throw out a lowball bid on the 41 barrel I mentioned on E-Bay. Wow, did I steal that barrel.